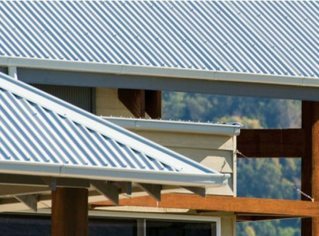 Why Choose Colorbond Steel for Your New Roof? Choosing the material to used when upgrading your roof requires enough knowledge on the materials available in your area. The roof of your home is designed to shelter you from elements, so it is required to be durable and built using materials that can withstand harsh weather conditions as well as time. In Australia, one of the roofing materials that is usually considered is the Colorbond Steel roofing products. 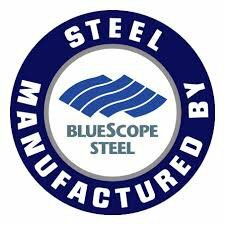 Steel manufacturer, Bluescope Steel, have created and trademarked Colorbond Steel roofing products as durable and have been designed to protect any building against termites and corrosion. During the year of 1843, people discovered that corrugated roof is durable for roofing projects; however, it requires ongoing painting to maintain its durability. This is the primary reason why Colorbond steel was created; to eliminate the high cost of painting maintenance for corrugated roofing. It is sealed with a pre-painted finish of Zinalume core, which is proven and tested to be durable and long lasting. Comes in a variety of colour options. This is the most obvious advantage Colorbond Steel roofing products can give. Because of its plethora of colour options, you can choose a colour that will complement the colour of your home or building. Low maintenance. This doesn’t need painting as other roofing materials since the colour is bonded to the metal. Durable and lightweight. It’s long lasting and can withstand even the harshest of weather conditions and other elements. It holds steady during rains and high winds, and snow just glides off or easily removed with this roofing material. Neat and modern appearance. Colorbond Steel roofing products are designed to meet the modern standards of roofing aesthetics. It is neat and modern in appearance that is perfect for any home or building with a modern design. Cuts down heating and cooling costs. If these products are properly installed, it can cut down heating and cooling costs, which is an added savings on the homeowners’ part. More affordable than tile roofing. In the long run, it can actually be cheaper when using Colorbond Steel roofing than tile roofing. Perfect for buildings with little to no pitch. Colorbond Steel roofing products is advisable for buildings with little to no pitch at all since water will still run off with this type of roofing. As you can see, Colorbond Steel roofing has many advantages over other type of materials; however, there are still drawbacks that you need to be aware of. Repainting after a period of 30 years. It’s true that it does not need repainting every year, but it should be refinished within a 30-year mark, as the colour will deteriorate over time. Noisy. This type of roofing can be noisy. To eliminate the noise, an acoustic blanket can be placed down before the Colorbond roofing is installed. While most find the advantages of a Colorbond roofing outweigh the drawbacks, it is still up to you to decide if it does fit your budget and if it meets your needs. For more information about the different roofing materials available for your project, contact us and we’ll give you a free quote.